(EN) There is nothing small about American novelist Hanya Yanagihara’s ‘A Little Life’, from its scale to its size (it’s more than 700 pages long) to its crushing subject matter. An epic story that weaves the narrative of the friendship of four men in modern-day Manhattan with a complex and dark fairytale of suffering that defines and literally cripples one of the characters, it’s a book that has been described as an emotional thriller. Yanagihara wrote it with the intention to lure readers into the story as if her words were like quicksand. For me, it was a book so harrowing that I had to put down for a few days before I could start reading it again. (EN) Back in January, the book was published as Ein wenig Leben by Hanser in Germany and Yanagihara’s readings in Frankfurt, Stuttgart and Munich drew hundreds of readers. In Berlin she read to a full house at Dussmann and was interviewed by German writer Daniel Schreiber who wore a T-shirt that commemorated the book with the names of the four main characters: Malcolm, JB, Willem and Jude. Schreiber commented at the end of the evening that one of the things that touched him about the book was that it was a love letter to modern and unconventional friendships. A Little Life celebrates relationships that defy the traditional hierarchies in societies where getting married and having children is the standard archetype. In the world of Malcolm, JB, Willem and Jude, friendship and love is what defines a life, even if it can’t change an agonizing fate for one of them. 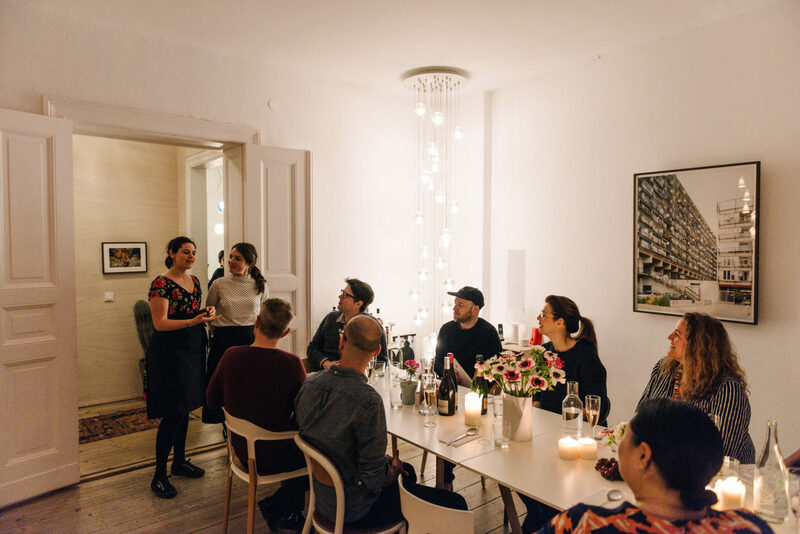 (EN) On her first evening in Berlin, Yanagihara swung by the Freunde von Freunden Apartment in Mitte for an intimate dinner party in her honor. Sophie and Xenia von Oswald, the two sisters behind the Rocket & Basil and the cultish pop-up The Brunch series, were in the kitchen preparing a three-course vegetarian meal inspired by their Iranian, German and Australian roots. About a dozen guests—the creator of TV series Deutschland 83, Anna Winger, Israeli artist Deville Cohen, American curator Stephanie Behr, Malin Elmlid, founder of The Bread Exchange, and French illustrator Eric Giriat—sipped sparkling rosé until the first course was served: dumplings stuffed with fresh leeks floating in a rich Azerbaijani broth. (EN) The conversation swung from mention of the gruesome Shockheaded Peter tales to Hanya’s observations from her German book tour. (She found Germans to be exceptionally quiet and respectful during readings and Stuttgart was more attractive than she expected). The main course was a small roasted head of cauliflower served with a tomato and dill sauce, saffron tahdig and homemade labneh, which tasted best when all the flavors were mixed together; the major topic of conversation was whether, as an artist, it was better to live in Berlin or New York. (The consensus, after much discussion, was Berlin, especially now that Trump is in charge). By the time dessert arrived, a spiced-orange polenta-cake, heady with cardamom and served with vanilla cream, it was almost midnight and the guests had changed seats and broken off into smaller groups. Malin was giving Hanya tips about Helsinki and Eric signed a copy of his beautiful children’s book La Tête perdue de M.Mue. 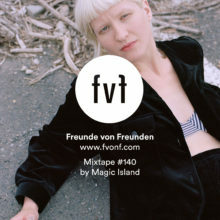 Now that the Freunde von Freunden headquarters has moved to Kreuzberg, we made the giddy decision that the original Apartment should become an artist’s residence so that Hanya, who lives as a magazine editor in Manhattan, could move to Berlin indefinitely. Just a few weeks later though our plans were foiled when she was named editor-in-chief of The New York Times T Magazine; she won’t be leaving New York City any time soon. (EN) for spending an evening at the FvF apartment and joining us for a beautiful dinner. For the German edition of A Little Life, see Hanser Publishing here. one of their brunches? Check out their recipe-driven site Rocket and Basil. (EN) Be sure to check out further events at our FvF Apartment in Berlin.